If you are looking for a dedicated and experienced Personal Injury in the Anthem area, call Anthem Accident Lawyer Randal Hutson at The Hutson Law Firm, PLLC. Mr. Hutson is a top-rated personal injury lawyer in Phoenix and throughout the southwest region and is an Anthem Accident Lawyer. The firm’s office is located just off I-17 and Happy Valley Rd. Mr. Hutson recognizes the those injured in car accidents and in other accidents through no fault of their own suffer bodily injuries and other limitations and therefore he is also happy to come to you for a Free Consultation. Mr. Hutson almost exclusively represents accident victims and has since accepting his first position out of law school back in 2010. Mr. Hutson is a proud member of the Arizona Association of Justice and believes in open access to the courts and champions on behalf of injured individuals against insurance companies and big business. Anthem Accident Lawyer Randal Hutson understands the large and small details regarding accident claims and continuously learns to help his clients recover compensation for their personal injuries and other damages. Many lawyers rarely litigate personal injury cases and even more have never represented clients in trial. Mr. Hutson often achieves favorable results for his clients without the need for litigation, but he does not hesitate to file lawsuits for his clients when a lawsuit is the only way to bring about a good settlement or award. 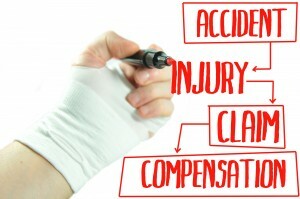 Mr. Hutson understands the unique rules and procedures and arguments routinely involved when presenting personal injury claims, and he has solid trial experience. The Hutson Law Firm, PLLC, offers free personal injury consultations. If you have been injured in a car accident, by a dog bite, slip and fall, or other incident through no fault of your own, Mr. Hutson will be pleased and humbled to answer your questions. He is proud to have been recognized by SuperLawyers as a Rising Star for his work and results in Personal Injury Cases and continues to earn the respect of his clients and colleagues throughout Arizona.